LSU rebounded well on Wednesday night from its first home loss in over a year one Saturday ago. The Tigers rallied from 10 down in the second half to eventually defeat Mississippi State in Starkville, 92-88. 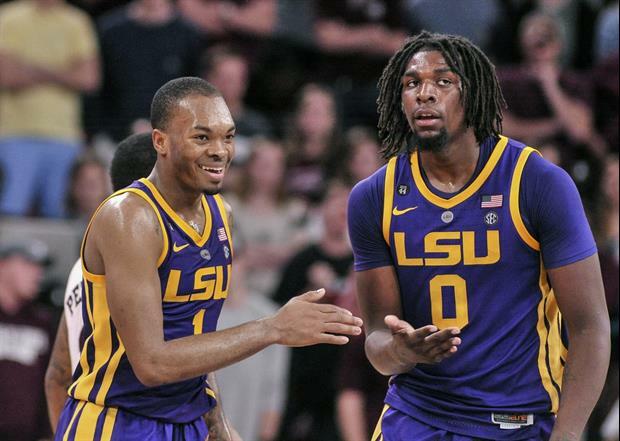 It was LSU’s third overtime win, all on the road, and the Tigers have won their fifth straight road SEC game. Naz Reid had 29 points in the win, while Tremont Waters had another big road effort with 26 points. Kavell Bigby-Williams doubled up with 14 points and 13 rebounds. LSU is in a tie for second at 8-1 with Kentucky in the SEC, two games ahead of fourth place South Carolina and one game behind undefeated Tennessee. Auburn comes in off three straight home games, all wins, against Missouri, Alabama and this week Florida (76-62). Hit the Mute, its Beth Mowins. Going to be another nail biter with these cardiac cats! This has been an exciting season. If you haven't gone to see this team play. You are missing out. The Tigers have evened the series. Less than a week away from the NFL Draft.